There I am in the paper #69 – My thoughts on a page. Time to share another of my Irish Examiner, ‘It’s my life,’ columns. Hope it makes you smile. Growing up, I was guilty of believing Dublin was the centre of the universe. For myself, and my childhood friends, where you came from was simple, either you were from Dublin, or the country. Of course, now that I’ve been living ‘in the country’ for nearly thirty years I can appreciate how ignorant I was. Yet the strange thing is, I wasn’t anti-country. In fact, quite the opposite. As a child, I loved to imagine I lived in ‘the country’ and even had a secret farm in my garden where I regularly milked imaginary cows, fed hens and herded sheep. This desire to be a country girl possibly stemmed from the years we spent visiting my grandparents in Donegal. During the holidays five children and a dog were squashed into the car, murder narrowly averted, as we sat in long queues at checkpoints in the North, before finally arriving a lifetime later. Within hours of our arrival I’d ditched the Dub in me. 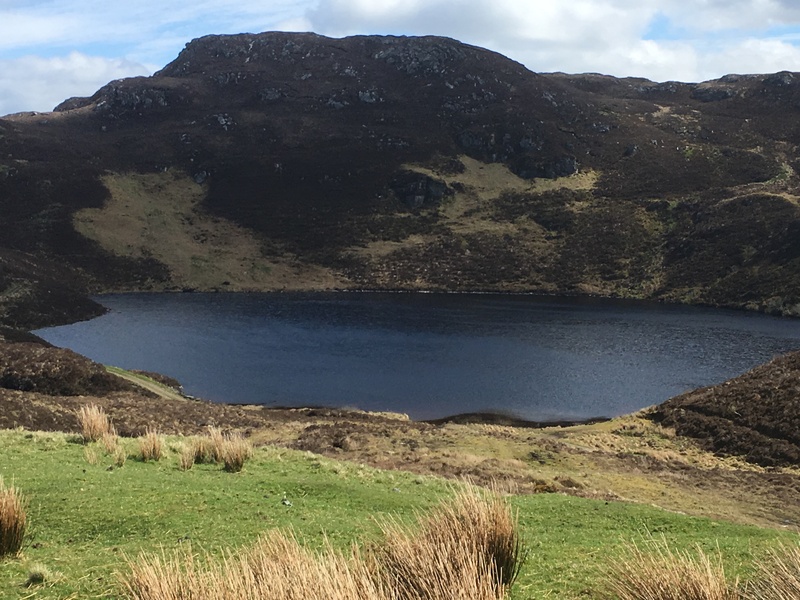 Pulling on wellies and shorts, my brother in tow, I rambled and roamed surrounding hills, promising to be home for dinner, my northern twang as strong as any local. Nothing pleased me more than for a visitor to ask directions. Not having a clue where they were looking for never stopped me. 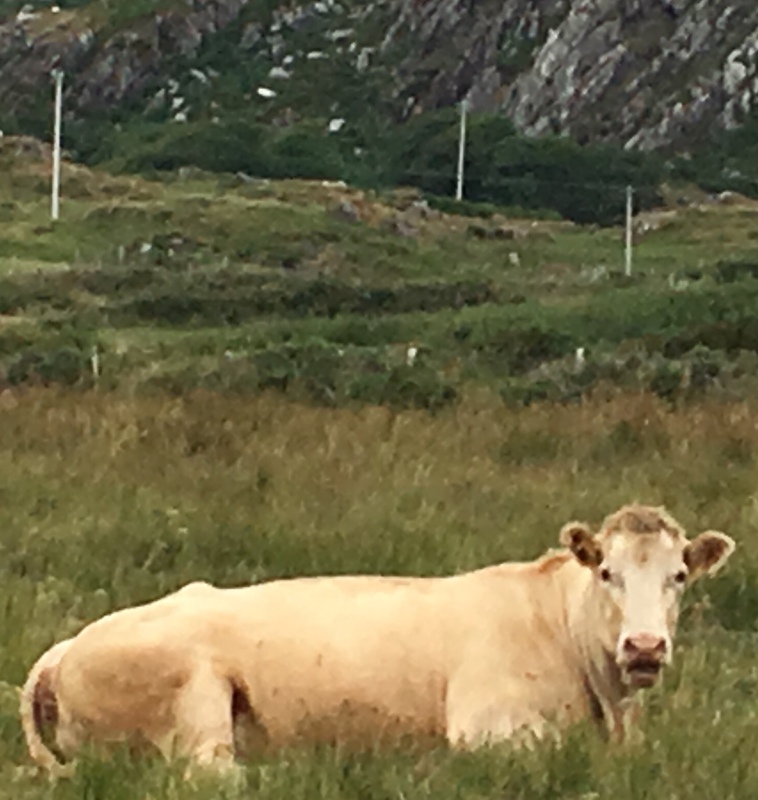 Memories of that desire to be ‘from the country’ came back to me on our recent holiday in Allihies. It was day one, and I’d been looking forward to tackling a hill walk we’d not done previously. Yer man, myself, our children and dog (on a lead) set off under a blue, cloudless sky. After a couple of kilometer’s along the shore we began our assent. Taking in the magnificent views I felt a sense of belonging, the Dub in me a distant memory. As is often the way when walking with family we had split into two groups, yer man and myself trailing behind. “What’s up?” I asked as we unexpectedly caught up with the leading gang. “That,” they said, pointing to two hefty cows and a young calf on the path ahead. I’m no expert but these cows looked beefier than any I’d ever seen before. “Okay, let’s go on,” I said, picking up our pooch. I took three steps and stopped. Mr Boss Cow was eyeballing me, chewing the cud like a gangster would chew gum. Yer man, head down, crashed into me. “For goodness’ sake, will you go on,” he said. Before yer man had a chance to speak we were off, making our way downhill in what can only be described as a hasty retreat. It was right about then I realised, despite my childhood dreaming… you can take the Dub out of Dublin, but never Dublin out of the Dub. Why didn’t HE go first??? There’s a bit of a cow-ard in all of us Tric, I cud go on but that would be milking it. Udder than that I have no more to say. Hahaha. Then you’d better moove on. Horns of a dilemma Tric, horns of a dilemma.